List of the Universities in September 2015 - We are The British College. Our students make the future. 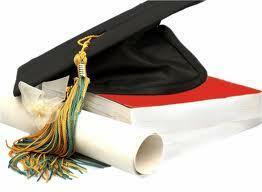 LIST OF THE UNIVERSITIES THAT THE GRADUATE STUDENTS OF THE 2014/2015 ACADEMIC YEAR, HAVE JOINED. In the 2014/2015 academic year, once again 100% of our year 13 students gained places at Universities for entry in September 2015. Rida Ahrouch: BSc. Sports Business at Sheffield Hallam University. Ahmad Berri: Medicine at the University of Beirut, in Lebanon. Álvaro de la Guardia: Law at the University of Málaga. Marcus Dawkins: Biomedical Science at the University of Brighton. Marta Díaz: Business Management & Marketing at the University of Amsterdam. Mikhail Eremeev: Chemical Engineering at the University of Groeningen, in Holland. Sara Gallego: Modern Languages at the University of Portsmouth. Bethany Gilchrist: International Relations at the International University of Marbella. Carmen González: Zoology at the University of Hull. Yaiza Gutiérrez: Business Management at the European University of Madrid. Ruby Griffiths: Translation and Interpretation at the University of Málaga. Grace Hicks: Physical & Sport Education at St.Mary’s University. Twickenham. London. Rune Holtmoen: Journalism at the University of Málaga. Jade Hooper: Tourism at the University of Málaga. Hanane Houliche: International Relations at the European University of Madrid. Anja Kukic: Pharmacy at the University of Granada. Janet Parrilla: Translation & Interpretation of Modern Languages at the University of Newcastle. Henry Parry: Economics at the University of Sheffield. Callum Pollock: Forensic Science at the University of Kent. Francisco Rueda: Business Management at the University of Málaga. Natalia Sánchez: Drama in ESAD, in Málaga. Pablo Sánchez: ICT Engineering at the University of Málaga. Agustín Spada: Medicine at the University of Málaga. Carolina Tadeo: Translation and Interpretation at the University of Málaga. Julia Vargas: Translation and Interpretation at the University of Málaga.